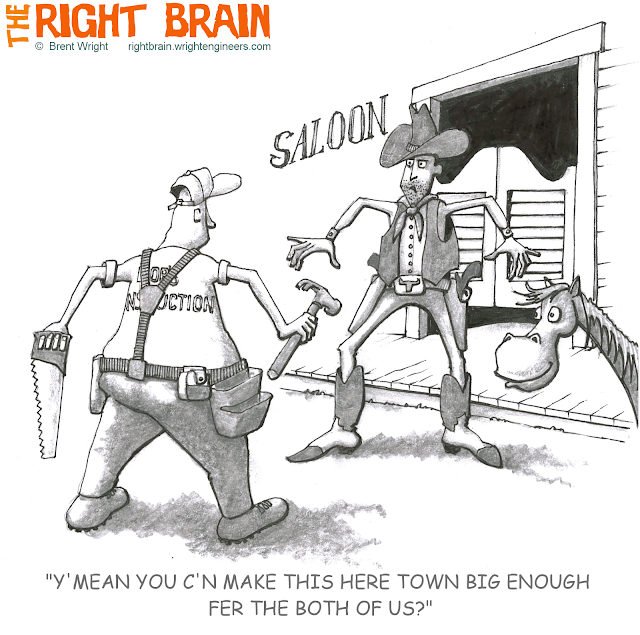 If only they'd built those old west towns a bit bigger, there might have been a lot fewer gunfights. I can see it now: Two rough characters square off at twenty paces in the middle of town wearing tool belts and slinging nail guns. "This here town just ain't big enough fer the both of us", one would say, "so me 'n my gang'll start buildin' over there and you'n yer gang c'n build over here."